Posted on August 2, 2018 at 12:55 pm. Any qualified elector who is unable or unwilling to appear at the polling place on Election Day may request to vote an absentee ballot. A qualified elector is any U.S. Citizen, who will be 18 years of age or older on Election Day, who has resided in the ward or municipality where he or she wished to vote for at least 10 consecutive days before the election. The elector must also be registered in order to receive an absentee ballot. Proof of identification must be provided before an absentee ballot may be issued. The deadline for mailing application to receive an absentee by mail is 5pm on the fifth day before the election.Request Absentee Application: Contact your municipal clerk at 920.583.5171 and request that an application for an absentee ballot be sent to you for the election.Submit a written request in the form of a letter, email, fax, or in person. Your written request must list your voting address within the municipality where you wish to vote, the address where the absentee ballot should be sent, if different, and your signature. 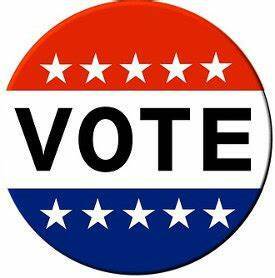 Voter registration is required in the Town of Waupun before an elector is allowed to vote. A qualified elector is a U.S. Citizen, at least 18 years of age, having resided in the election district for at least 10 days. Proof of residence is required when registering at the polling place on Election Day. Only one form of acceptable proof of residence is required to register to vote. An acceptable form of identification includes a current and complete name and residential address. Voter Registrations by mail will be accepted if they are post marked no later than the 3rd Wednesday before the Election. After this date you must register with the Clerk or on Election Day. Proof of Residence must be provided with the application form.